Your wedding day is normally considered as one of the most important days of your life, and making it an unforgettable experience can be very stressful. It is easy to get caught up in organising everything right down to the tiniest detail but you could overwork yourself, which added to the stress of planning a wedding, can lead to a lack of sleep, or even illness. The worst possible thing you want is to be ill at your wedding, so it is important to take a break from planning every now and then! Yes it is an important day, but if you are too busy stressing about it to enjoy the moment, you will end up regretting it. In the weeks leading up to the big day, chances are you’re going to get a little more stressed out. Take a few steps back. Take a deep breath and take a day out. A build up of stress can lead to muscle pain, headaches and a heightened susceptibility to illnesses, so it is important that we relax every once in a while. However it is important not to forget your responsibilities! Relaxing is great but if you shirk your responsibilities, it will eventually come back to haunt you. So why not try something relaxing and productive, and creative at the same time? Making a little gift for each of your wedding guests is a great way to take some time out and still be productive. They can be as complicated or as simple as you like, just make sure they are homemade and they are from the heart. If you’re planning on having a big wedding, it might be better to stick to a gift per family, perhaps something they can share. Why not make a photo album with a collection of you, your partner and your chosen friend/family member? You can use old pictures, pictures found from social media sites, and it really helps if you can think of funny or touching captions for the photos. Making the album by hand will also give you creativity points, and you can decorate it using ribbons and (not too much!) glitter if you like. Homemade boiled sweets or homemade chocolates are a great way to say thank you. 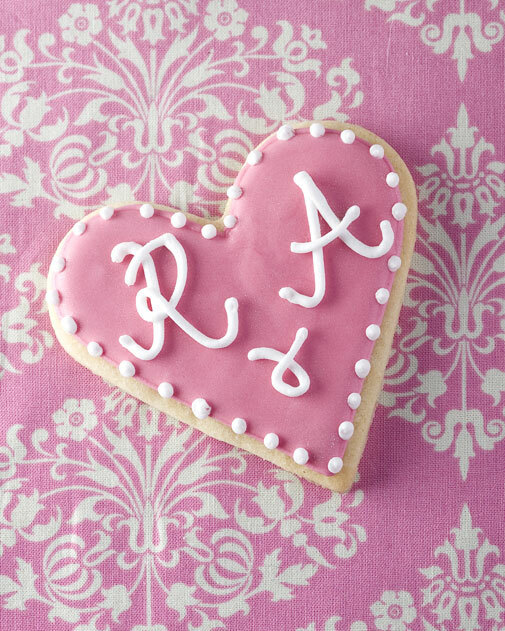 Try and add a little personal twist; your initials in the chocolate or a little spice into the sweets, and your guests will love them. Finish the personal effect by storing the goodies in an adorable little glass jar, tied with a ribbon and a personalised name tag. 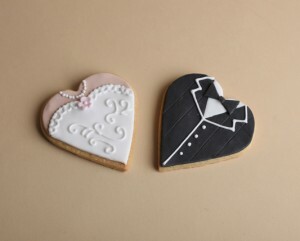 Ultimately though, at Cakes by Robin we have to say that we would highly recommend our wedding favour cookies as favours! Perfectly delicate sweet treats that can be personalised to your big day reflecting your colours, theme or any individual inspiration you may have. Take some time and think about each guest. They will appreciate the sentiment and will take away one more great memory from your wedding. If you’re looking for a romantic wedding venue set in the heart of the countryside, Wickwoods Country Club is one of our recommendations & offers a range of wedding packages and for any wedding favour inspiration, get in touch as we can supply cookies, cupcakes, cake pops in addition to your wedding cakes.